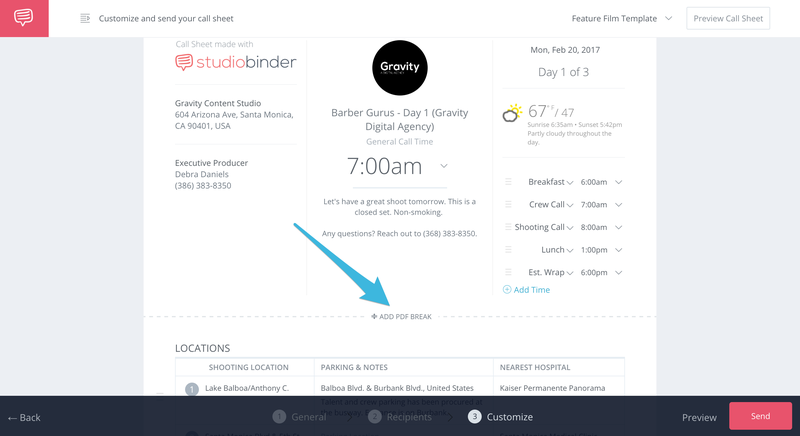 Control where your call sheet creates a new page with the PDF break feature. Is your call sheet pdf more than one page? 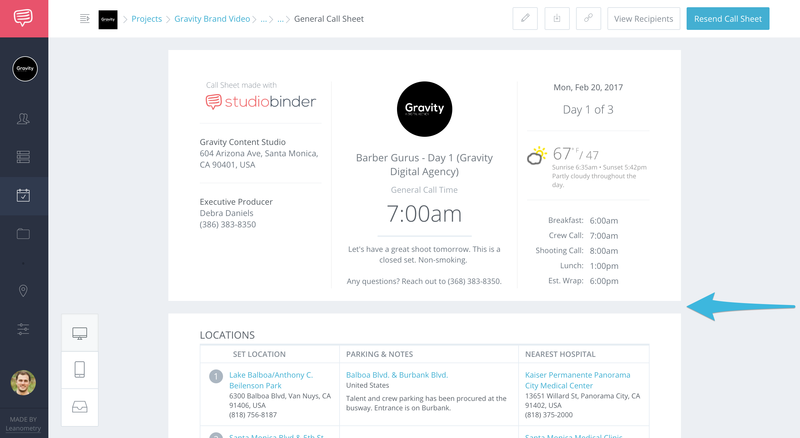 You can add or remove PDF breaks between major sections on your call sheet. Here's an example of what it looks like. 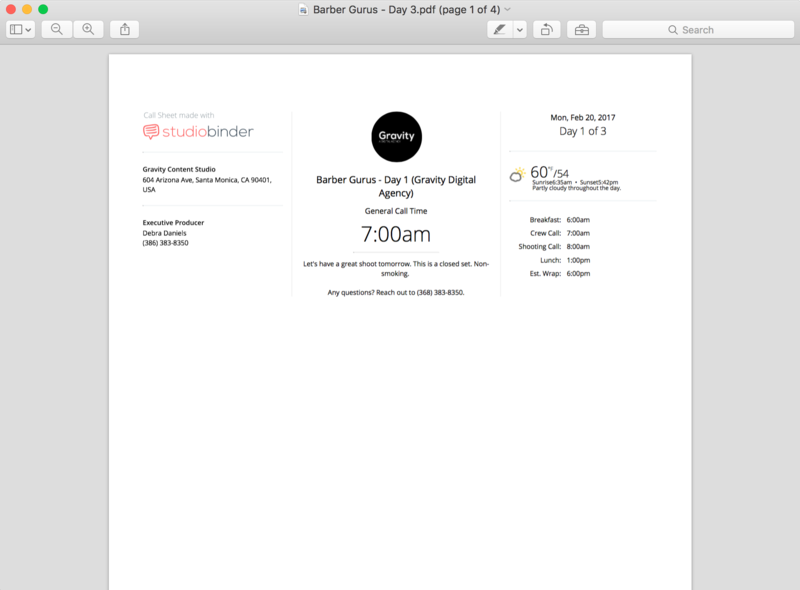 On the Customize step of your Call Sheet Builder, click Add PDF Break. Step 2 — Click Preview to view changes. Immediately, you'll notice that it creates a divider between the two sections which will also be represented in the PDF. Download the PDF and you'll notice that the first section of the call sheet is on its own page.